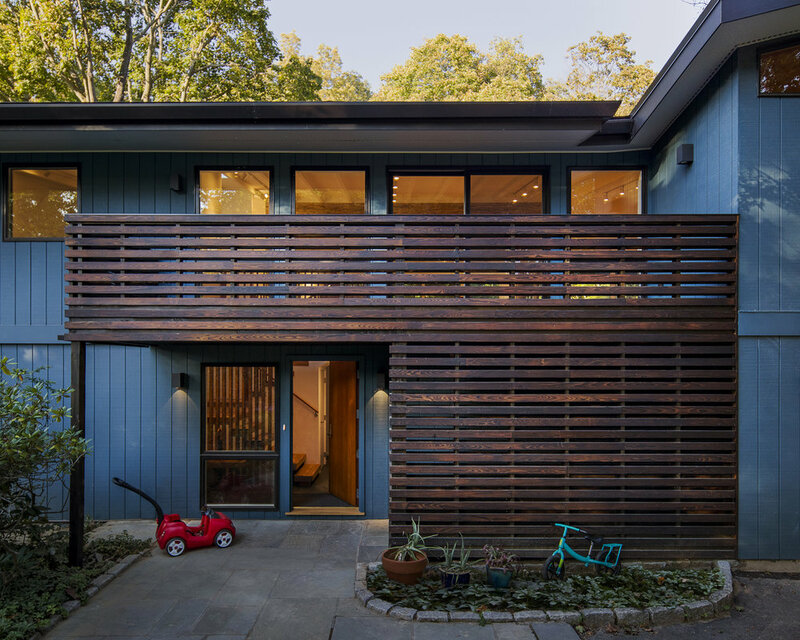 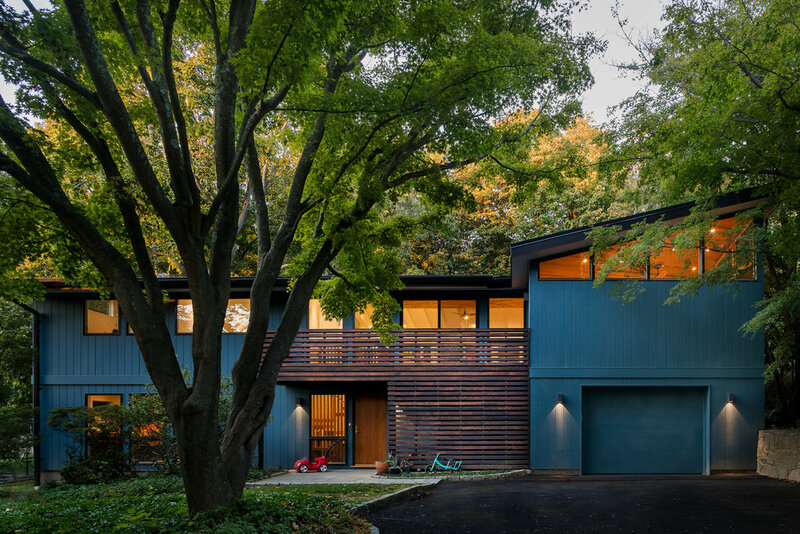 Deertrack Lane was a 1960's era two level home that needed a spark. 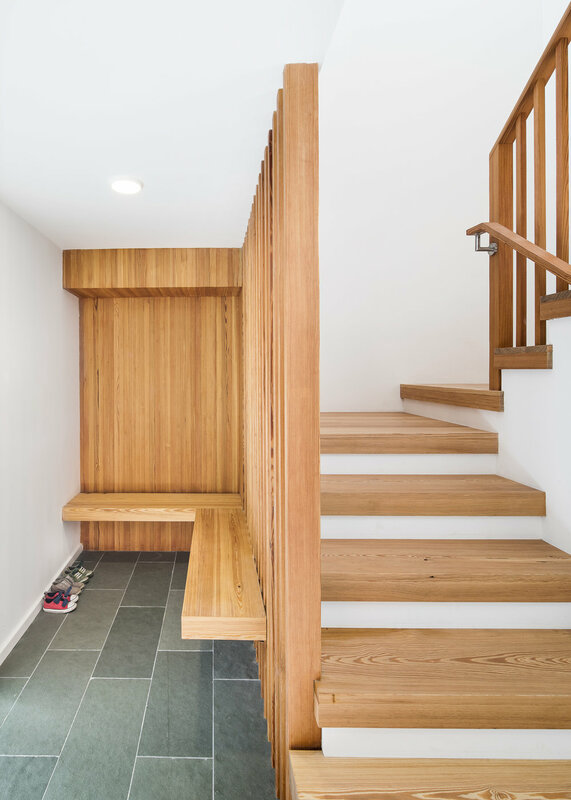 Our focus was on reworking the entryway, stair and interior and exterior living areas to address our clients' interest in a more comfortable and livable home. 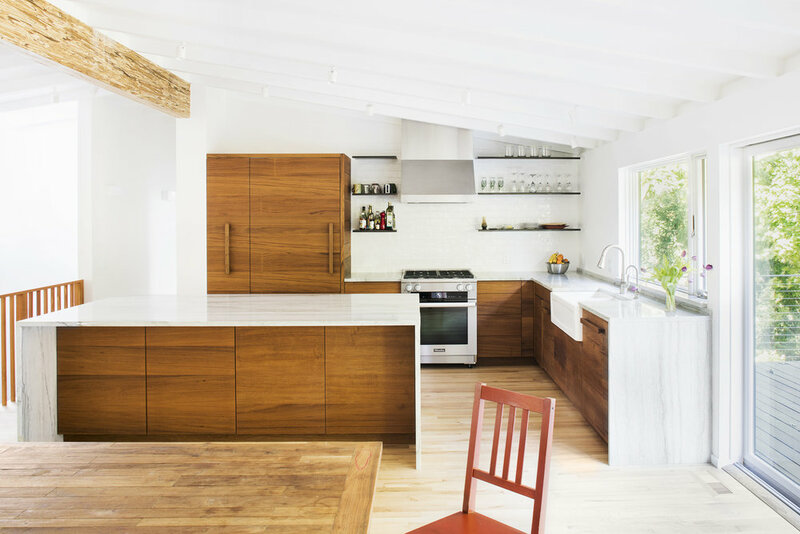 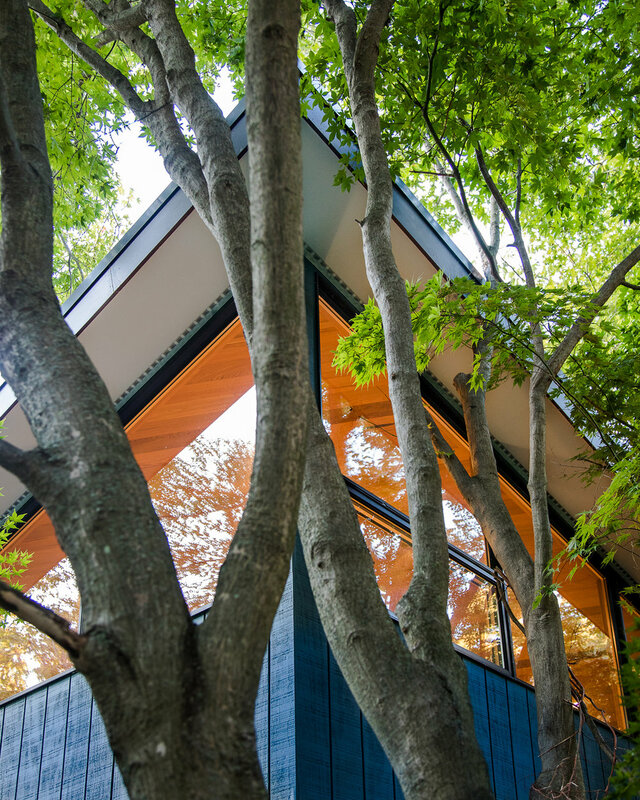 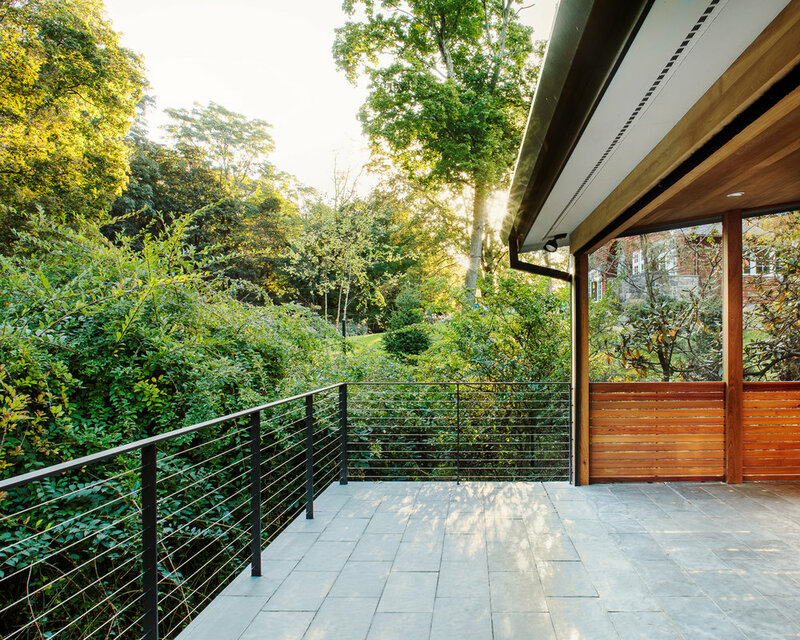 Through the strategic removal of interior walls, the addition of a new soaring roof over the living space and the inclusion of lots of new windows, the somewhat dark and confined house was turned into a bright and airy oasis set amidst the trees.